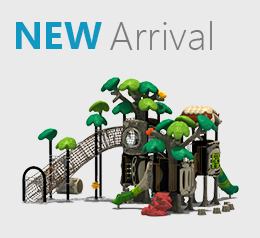 Natural Landscape series is what you would call a perfect setting for a boundless active play. 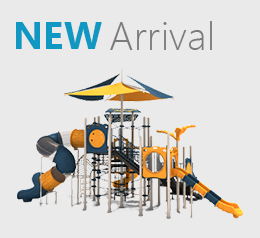 The ingeniously designed, adventure land look-alike play structure ensures that the fun and creativity coexist to provide the best possible play setting for children. 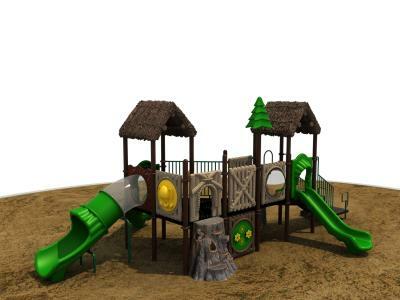 It is not a simple play house; it’s a massive configuration of slides and loops that evokes a sense of quest in children. Creative Recreational Systems, Inc. presents another opportunity for children to explore the inexhaustible immensity of their imagination. 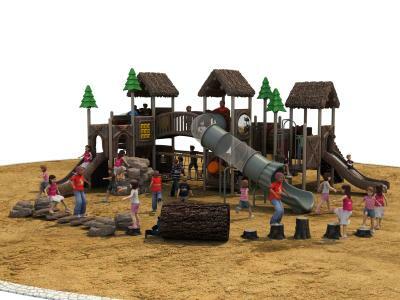 With a symmetrically aligned wood logs and creatively designed swing set, the Nature Series is a perfect choice for those looking for a play structure that would offer a blend of adventure and creativity. 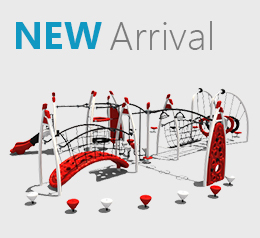 There is nothing better than an assortment of playground equipment in one place for a structured play activity. 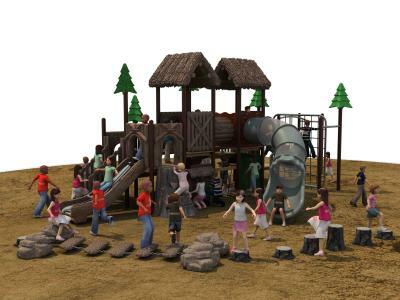 With Nature Series, children can find all-in-one play setting that offers both thrill and energizing physical activity. 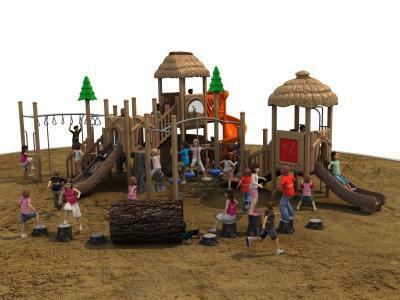 The assemblage of various play equipment in one setting allows children to interact with varying levels of creativity that ultimately boosts their overall cognitive ability. 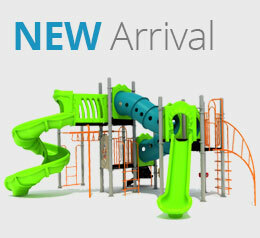 Nature Series is a must buy for any institution looking for an inclusive package of adventure and fun. 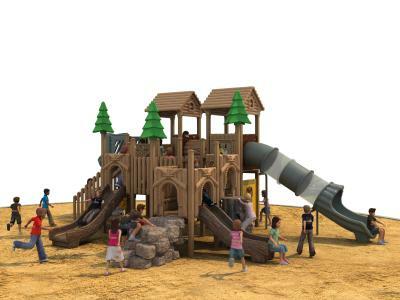 The climber, the slides and the wood logs along with other parts of the equipment ensure that children have the opportunity to have both structured and unstructured play. 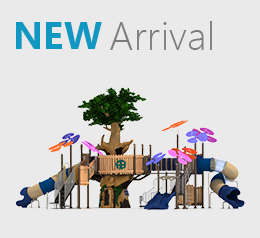 Nature Series is one of the best selling commercial playground series that comes with a promise of enhanced cognitive development in children. 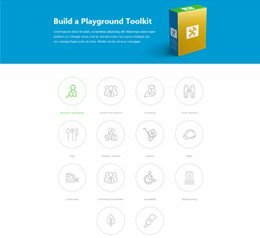 Playgrounds and the play structures are one of the most essential components that directly contribute towards children’s cerebral ability. Nature series is tailored specifically to build the foundation for rational and theoretical thinking. 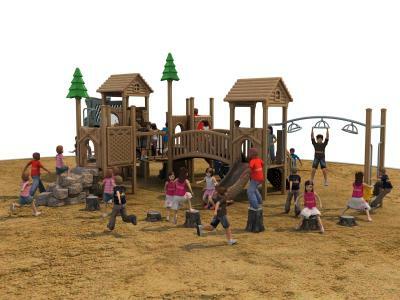 The assortment of swing sets and climbers along with wood logs provide the opportunity for both structured and unstructured activity. Children need a complete play environment to unleash their inner creativity that ultimately manifests itself in their academic performance. 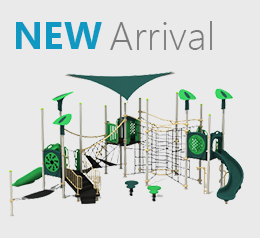 The immense structures of the Nature Series play system incorporate the use of complex and highly challenging setting that encourages children to work with their imagination and heighten their conceptual and theoretical ability.